We are excited to have our 2010 Fusion Hybrids rolling into the dealership. This good news and bad news. Good news is they are here and THEY ARE AMAZING – in style, comfort and environmentally. The bad news is they are selling as soon as they roll off the transported. As of right now we have a black one that hasn’t been spoken for…so if you are in the market for a new Hybrid – I suggest you drop what you are doing and come down to Waldorf Ford to check it out. 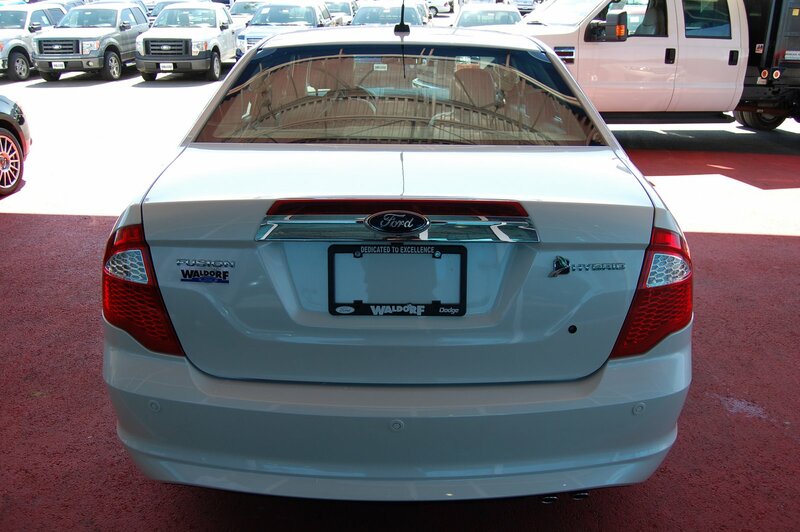 We would love hang a sold tag in our Fusion Hybrid with your name on it. This entry was posted in 2010 fusion hybrid, ford fusion, Waldorf ford by Administrator. Bookmark the permalink.